Animal Friends Croatia does not consider it necessary and does not agree with the extension of the already exceptionally long ten-year phase-out period because of the few breeders who could, but deliberately chose not to adapt to the very important provision which protects animals from exploitation for their fur in a timely manner. The provision was adopted with huge support from the public, politicians, and experts back in 2006, and it also won the support of the Ministry of Agriculture, all other ministries, the government, and the parliament. There is no justifiable reason to propose that the ban on fur farming should not step into effect at the end of a clearly defined and completed phase-out period. This would cause damage to animals, the legislation, the will of the public, and those breeders who stopped breeding animals more than five years ago. There is a number of irrefutable and accepted reasons to ban the breeding of animals for fur. The ban represents the pride of Croatia and its citizens who rightfully await the end of the legally announced and completed long phase-out period. Changing the legislation a month prior to coming into force? It is absurd and contrary to all logic that, in December 2016, an attempt is being made to alter a legal provision which should come into force on January 1, 2017, just to meet the interests of the minority at the expense of animals, already set regulations, and already imposed will of the citizens. As the Bill on Amendments to the Animal Protection Act confirms, Article 4, paragraph 2, item 23 of the Animal Protection Act stipulates the prohibition of breeding animals for fur. Article 72 of the Animal Protection Act stipulates that the prohibition shall enter into force on January 1, 2017. The Bill is declared as urgent and is available for public debate until December 20, 2016. It proposes an additional phase-out year before the enforcement of the ban. It is requested that an additional article be added to the Animal Protection Act, which would state: "As an exception to Article 4, paragraph 2, item 23 of this Act, chinchilla breeders who performed breeding of chinchillas for fur until January 1, 2017 should complete the chinchilla breeding for fur production purposes by January 1, 2018, at the latest, without the breeding and introduction of new individuals as of January 1, 2017." We understand and respect the intention of the proposal, but given the fact that all breeders had the same period of ten years for adjustment and the majority needed only a few years to adjust, we see no legitimate reason for the extension of the phase-out period. There is no justified purpose for allowing another year of the phase-out period after the initial ten-year period. The proposers' explanation for the changes in the proposed Bill on Amendments to the Animal Protection Act states: "Since it will no longer be allowed to breed animals for their fur in the Republic of Croatia starting from January 1, 2017, this proposal provides the chinchilla breeders the prolonged deadline until January 1, 2018, to fully finalize such production. Seeing as female chinchillas will be at different stages of pregnancy and to prevent the termination of pregnant females, based on this proposal and by prolonging the deadline to January 1, 2018, female chinchillas could give birth and be terminated afterwards. Also, the proposed provision will enable young animals to reach maturity required for their use, after which their production will be finalized. Female chinchillas carry their young for 112 days and animals need at least 8 months to reach adulthood, so the proposed period until January 1, 2018 is optimal for the discontinuation of breeding chinchillas for fur." This explanation indicates that breeders could have performed these actions during the phase-out period at least ten times over. Therefore, it is unacceptable that the minority of breeders should try to justify that they could not have done what the rest have. We believe that rewarding deliberate neglect of legal provisions is not the intention of the Ministry which passed the Animal Protection Act, and which has a duty, and one would hope a wish, to follow it through. Further extension of the phase-out period would represent a fraud against the citizens and an unfair and uncalled for move based on pressure from interest groups. The ban on breeding animals for fur in Croatia was brought under the Animal Protection Act of 2006. The decision was made almost unanimously and with the support of more than 73 percent of Croatian citizens. Discussions focused primarily on the length of the phase-out period: whether it would be five, seven or ten years. Despite several proposals for a shorter phase-out period, an extremely long ten-year phase-out period has been established, which expires on January 1, 2017, precisely to avoid even the slightest possibility of failure to comply with this important legislation. Further extension of the phase-out period would constitute a violation of human and animal rights and negate the very essence of the functioning of the rule of law. Most breeders of chinchillas for fur respected the law and the phase-out period and reorganized their business within a few years. A small number of breeders deliberately ignored the legal provision and the phase-out period, and seven years after the beginning of this period, they started the initiative of non-compliance with the Act and its demolition. According to the media statements of some breeders, some of them even launched or expanded their production at the end of the phase-out period, which is an indication of a deliberate intention to oppose the Act. Legal provisions apply to all equally and should be enforced equally. Extending the phase-out period would represent favoritism towards a few breeders who impose on the country of Croatia the idea of legislative chaos and anarchy, where everyone disobeys legal provisions for their interests. Also, by extending the phase-out period, Croatia would send a message to breeders who stopped production that they were wrong when they acted in accordance with the law. The Animal Protection Act's purpose is not intended to serve companies and individuals who profit from the breeding and killing of animals, but to prescribe the protection of animals in accordance with the previous regulations on the protection of animals in other countries and ethical awareness of its citizens. Examples of other countries show that the phase-out period is respected as a reasonably prescribed time limit for breeders. Although the chinchilla breeders have claimed that about 50 of them remained, which is only a fifth of the total number at the time of the proposed ban, the Ministry of Agriculture confirmed that only 20 breeders were registered in 2016. It is unknown whether they are all still active or how many started working after the adoption of the ban, knowingly violating the law. Since it is unknown which companies are in business and how many of them, it is illogical to ask for an extension of the phase-out period supposedly because of pregnant females and the chinchillas who are still not yet "ripe" for killing, when no one knows how many of these animals exist. It is incomprehensible that this urgent amendment to the legislation will favor breeders who intentionally mated female chinchillas so that they would be pregnant on January 1, 2017, and use that as their argument why they were unable to end production and breeding within 10 years of the phase-out period. For example, the Netherlands banned the breeding of chinchillas for their fur in 1997 due to the inability to achieve adequate conditions for the welfare of chinchillas in breeding, ethical reasons, and the will of the citizens, with a phase-out period of ten years. It had a significantly greater number of breeders and a larger industry. The opinions of veterinarians and other animal experts state that it is impossible to ensure the welfare of chinchillas in breeding: http://bit.ly/2bwvJmH (in Croatian only). Regardless of whether the breeders keep the chinchillas in damp basements or in neat new cages, chinchillas have to spend their short lifetime up to their killing for fur production in small cages that prevent their movement and natural behavior. Females are fitted with neck collars that prevent movement and the small cages completely prevent running, jumping, and any social behavior that would satisfy their natural needs. 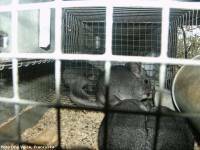 Investigations in countries that have abolished chinchilla fur farming have shown common problems at chinchilla farms: poor air quality, lack of active life, lack of food, stereotypical behavior, and chinchillas that were required to wear "polygamous" collars around their necks for up to nine years in a row. The conditions of keeping and breeding chinchillas result in abnormal stereotypical behavior, fear, disturbances in reproduction, and offspring mortality. It is vital for chinchillas to have a large space for running, playing, and jumping, which is impossible in the cages used for fur production. Preventing the animals' natural behavior causes low immunity and propensity to natural diseases and stereotypical behavior, which experts regularly warn about. It is a tragic and shameful fact that in the 21st century and beyond, 150-200 of these small animals are killed to produce just one fur coat. Chinchilla fur is a luxury product that is purchased by a minority, while the popularity of fur has been declining over the years. Extending the phase-out period would allow the remaining breeders to continue with this cruel practice which is ethically unacceptable and causes suffering to a large number of animals. This is confirmed by the proponents of the changes to the law, who use the fact that the breeders want to allow the birthing of new chinchillas in the following year as well as increasing the total number of animals that will be killed for fur as their main argument. This would allow the remaining breeders to have female chinchillas give birth, so they can then sell and kill the new animals. With this proposal, the amount of animal sacrifice will be unnecessarily increased! In the explanation of the Bill, it is pointed out that in banning the breeding of animals for fur production, "the requirements of the public for improving animal welfare should be taken into account." It adds: "At the same time, attention was paid to ensure breeders who breed chinchillas for fur production the appropriate phase-out period of 10 years, or until January 1, 2017, to stop production." Evidently, the competent Ministry itself upheld the public opinion of the majority and very vocal demands for animal welfare improvement through legislative amendments. It described the phase-out period of 10 years as "appropriate" for termination of production. Therefore, the request to extend the period is not justified. While the leading European countries banned fur farming, by extending the phase-out period, Croatia would set a precedent in the opposite direction. 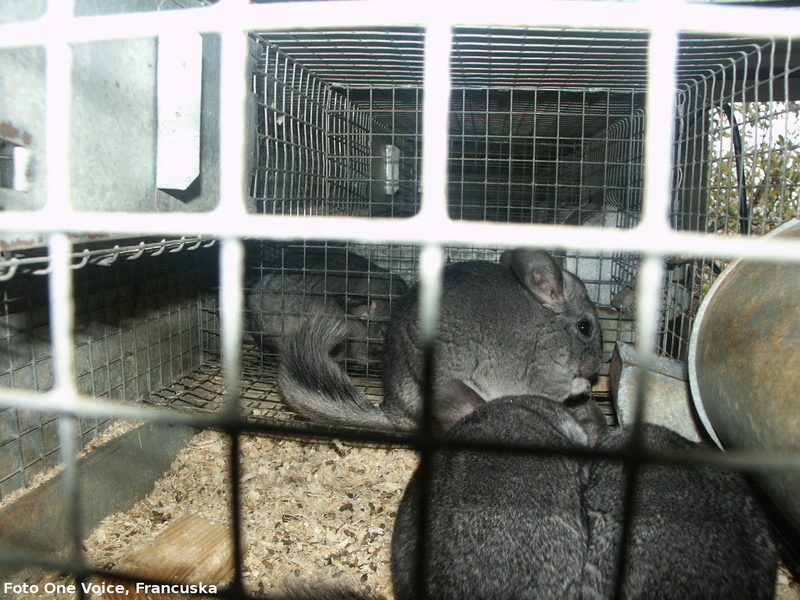 Production of chinchillas for fur in Croatia is much smaller compared to the period when the ban was adopted and there is no reason to extend the phase-out period. The production of fur is not essential for meeting the basic human needs, and the condemnation of the exploitation of animals for fur has been increasing through the years. Most Croatian and other European citizens believe that it is not ethically justified to breed and kill animals for fur and strongly oppose the extension of the phase-out period. In addition, veterinarians, experts, politicians, civil society associations, the fashion industry, and celebrities endorse the ban on fur farming, without prolonging an already lengthy phase-out period. The fact that most breeders shifted their business focus within a few years' time, while the remaining minority willfully disregarded the phase-out period, is proof that ten years was more than enough and that there is no basis in applying for an extension. In addition, the extension of the phase-out period would encourage all those who have deliberately decided not to respect the law. This is unacceptable under Croatian law, to the citizens as well as the animals that should be protected by law, and is not in accordance with the provisions already laid down. In conclusion, it is important to protect the existing legal provision that already includes a phase-out period of 10 years, which will expire on January 1, 2017, and will prevent further manipulation of the legal provisions.